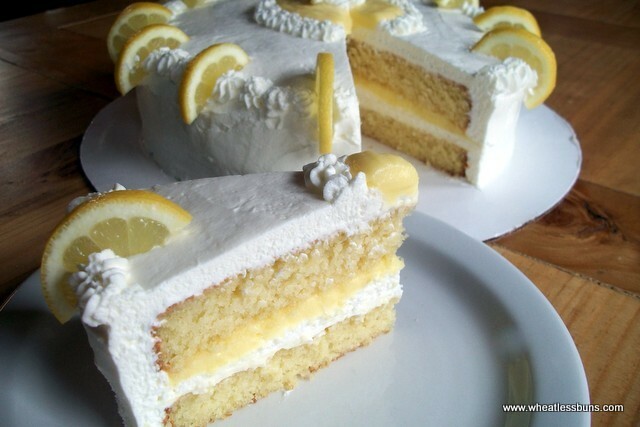 This Lemon Curd and Cream Cake will absolutely BLOW YOUR MIND!!! 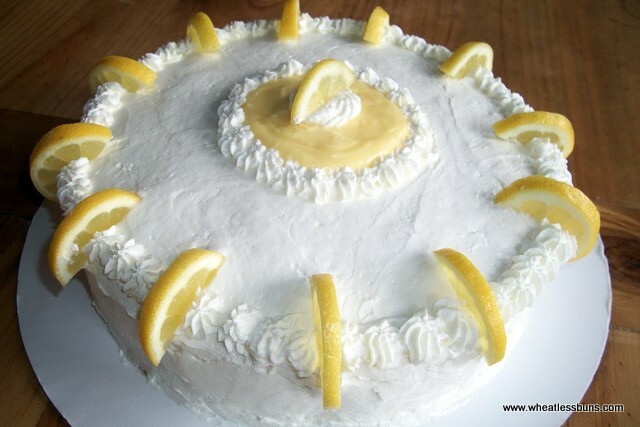 In fact, I would rank this cake right up there with the best of my creations. Scratch that. This cake IS THE BEST of the best! But, of course, I needed an unbiased ;-) opinion. So I cut a slice for my hubby and waited for his response . . . "This cake is top notch! The best you've ever done!" I totally concur with his review. 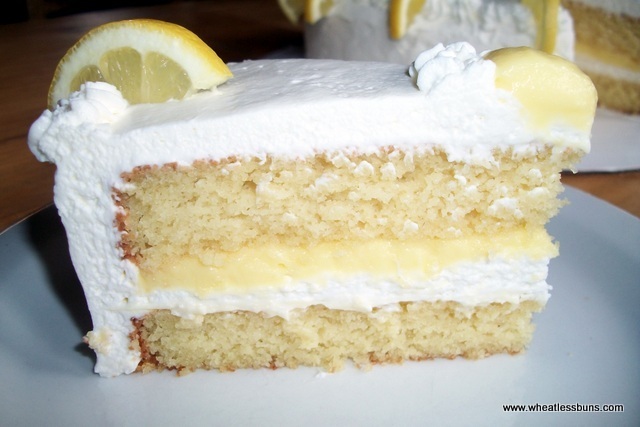 Every bite of this cake is moist, creamy, and bursting with a tangy lemon flavor that is beyond AHHMAZING!!! Update: My daughter tried it and said, "You nailed it Mom! Not too sweet. Not too tart. Just the right amount of everything." YAY!!!! The batter and frosting for this recipe was borrowed from my "Lemon Blueberry Cake" recipe. The lemon curd was adapted from Ina Garten's Lemon Curd Recipe on Food Network, found here. 1. Make the lemon curd first. Ina Garten suggests a great way to zest the lemons--peel the rind with a vegetable peeler, and try to avoid going into the white part. Combine the rind and the sweetener in a food processor and blend until it's very fine. (I did this and it works fantastic!) Mix the eggs, butter, and lemon juice together. Then add all ingredients into a non-reactive sauce pan. Whisk continuously on low for about 10 minutes--or until it thickens. Strain through a fine mesh strainer--I don't have one so I just used a flour sifter--works great! Transfer to a bowl, cover surface of curd with plastic wrap, and chill. 2. Preheat oven to 350 degree F. Mix the butter and sugar sub. and liquid stevia. Then mix in the eggs, sour cream, lemon juice and zest, followed by the almond flour, whey protein, baking powder and baking soda. 3. Spread the batter into two spray-greased 8" or 9" round cake pans. Also, place a round piece of parchment paper in the bottom of the pans and spray those, too. This batter has a tendency to stick. 4. Bake for approx. 16-20 min., or until a toothpick inserted in center comes out clean. For a moister cake, it's better to slightly under bake it--even if it isn't completely light brown on top. 5. Remove cakes from oven and allow to cool in the pans. 6. Make the frosting by beating the whip cream to soft peaks. In a separate bowl, mix the cream cheese, lemon juice, and sweetener. Mix the cream cheese mixture into the whip cream and beat to frosting consistency.